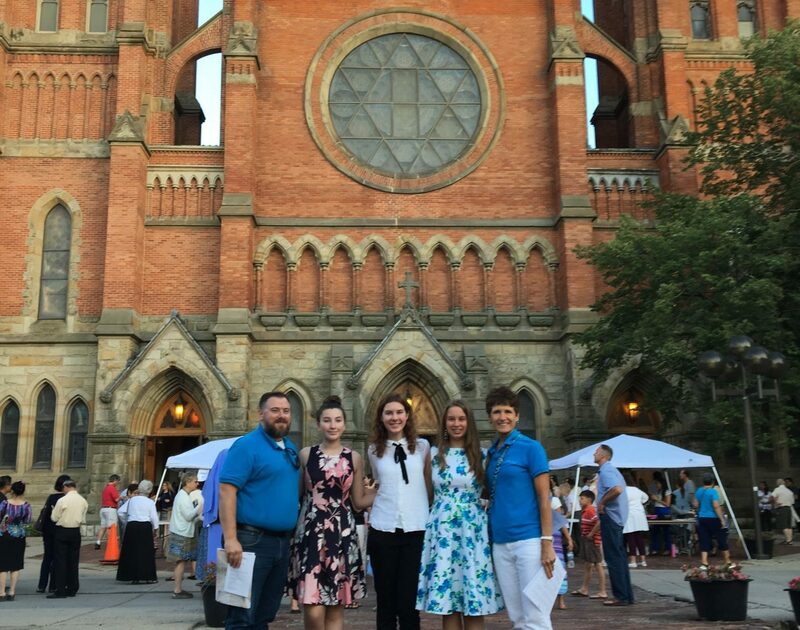 Members of the St. Isidore Teen Ensemble and SITE Youth group, Edessa Calles, Sophia Consadine and Rebecca Topor, along with families and leaders Amy Righi and Matt Hunt attended the St. Anne’s Novena on July 17, 2018 at historic St. Anne’s Church in Detroit. The first of a several-night celebration, the bilingual Mass was offered in celebration of Asian Culture and the Detroit Catholic Community. Music was provided by a beautiful Filipino Choir and the St. Isidore Teen Ensemble members who sang Ang Katawan ni Kristo after Communion. After Mass, the relics of St. Anne were available for veneration followed by a procession into the courtyard with rosary prayers and an international afterglow reception.